Of-late, no other movie has touched the way this one has. It is a Pakistani movie by Shoaib Mansoor. The movie stages the common most problem of the world. Population. Story gets revealed as a final message by Zainab who is to be convicted for her own father's murder. 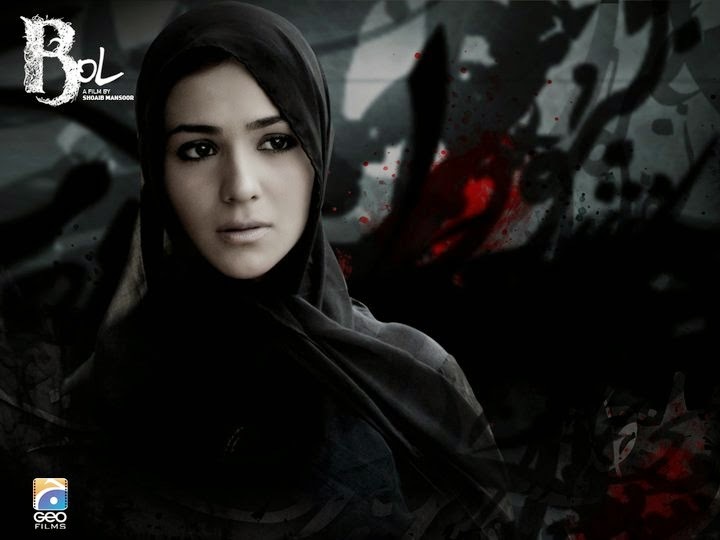 ((Plot: Zainab is the eldest of seven sisters and a transgendered brother Saifi. Their father is a hakim(traditional medicine with declining popularity) who is an oppressive person and totally against women working. Saifi gets all the family members' love except his father's, who develops hatred towards Saifi. On an uneventful day, Saifi gets raped. His father kills Saifi and advocates that he has done the right thing for the family. In need of money to bribe police, he marries a prostitute to give birth to a baby girl again. That is when he begs her to give his daughter instead of raising her to be a prostitute. She comes to Hakim's home and hands-over the baby. Zainab, her sisters and their mother decide to leave the place because of all the problems that their father has caused. But guards of brothel come to take back the baby. Hakim tries to kill the newborn to keep her away from horrid life at brothel. Zainab kills her father and hides the baby. They say that their father killed the newborn and threw her somewhere. Movie has thrown light on a few fundamental beliefs. Hakim forgets all his self-inflicted ethics when he goes to the brothel to teach their kids Quran only for money. He then marries the prostitute to give her a child for the sake of money. Hakim stands as a personified paradox who atrociously advocates whatever he does. Zainab is a protagonist who questions the long held old rusted blind beliefs. She raises her voice against her father who wants a baby boy from her mother, no matter after how many kids. Zainab gets her mom operated for tubectomy. Her father advocates that Mohammed Paigambar has told that he wants to see Islam as the largest community of the world; Giving birth is God's creation and no one are to disrupt it. Her reply stands as an eyeopener. She says, Paigambar means that Islam has to be the largest in its Pride, Respect and Honor, not in its population. No one can boast of highest strength if the genes themselves are undernourished and weak. Allah is a life giver. Agreed. But that doesn't mean people take his name for the uncontrolled greed of having kids. The movie has shown how the whole society sees a transgender as a completely unacceptable person, on the contrary, the family gives all the love to Saifi and tries to raise him as a normal boy. Helplessness of a transgender is clearly shown when he dresses like a girl, gets beaten up by his sister for it and asks her, why do I like to dress up like a girl and why do I feel like going out and getting married to a guy. How much ever you all try to treat me like a man, I am a girl from within. This is clearly a movie for a small group of people who like issue based flicks. Nothing is very cheesy here. Only reality of a downtrodden and overpopulated family is filmed. Try watching if you appreciate the director's effort of making a raw movie for the sake of infotainment and not meager entertainment.